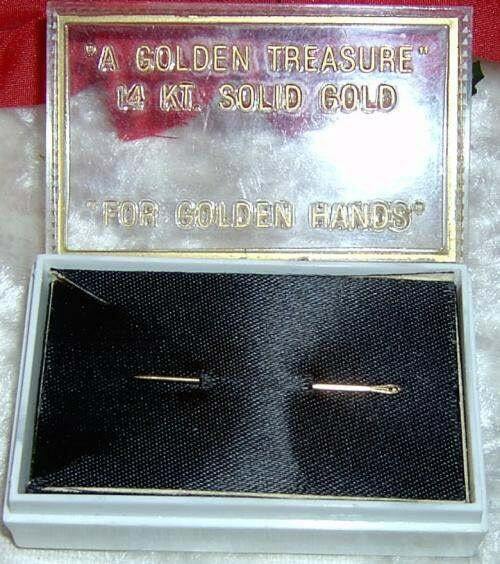 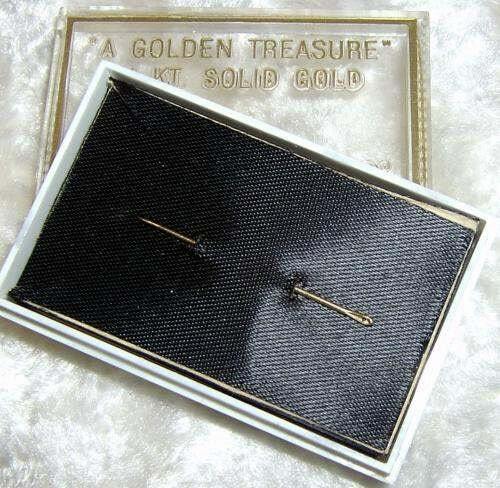 This auction is for a 14k Solid Gold Sewing Needle and case. 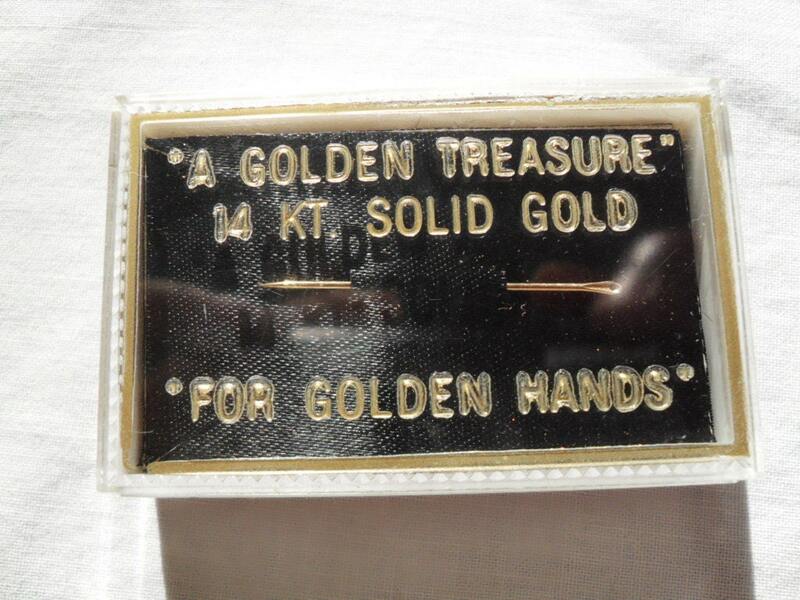 The case is marked on the front " 14kt Solid Gold" , "A Golden Treasure", "For Golden Hands" . 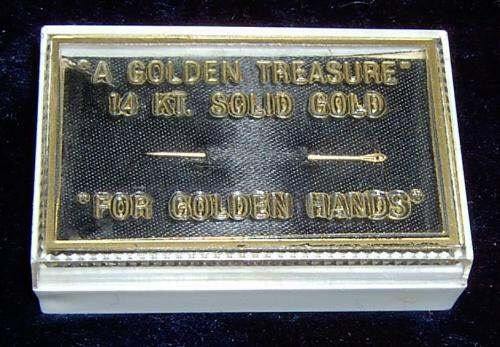 The needle measures about 1 3/8" long.